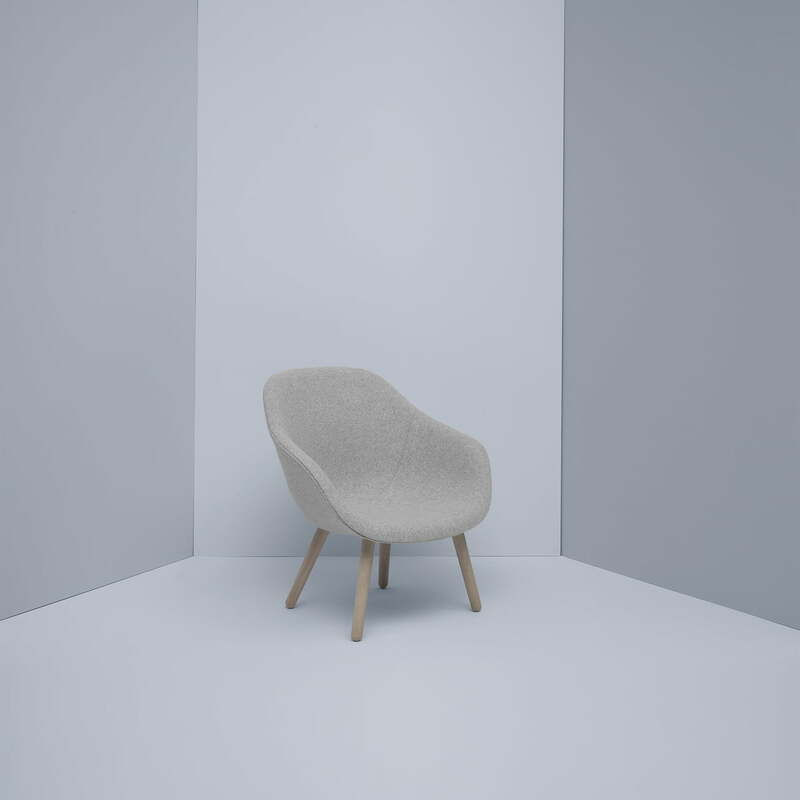 About a Chair is a chair collection by Hay with a striking simplicity in its design. For the designer Hee Welling, they represent a new level in the combination of form, function, comfort, detail and aesthetics. The AAL 82 expands the series with a low chair, which fits in perfectly with the design philosophy of the rest of the furniture. The About A Lounge Chair AAL 82 is slightly padded with foam according to the Eco-Tex-Standards. It has armrests, a low backrest and a four-legged frame out of wood. 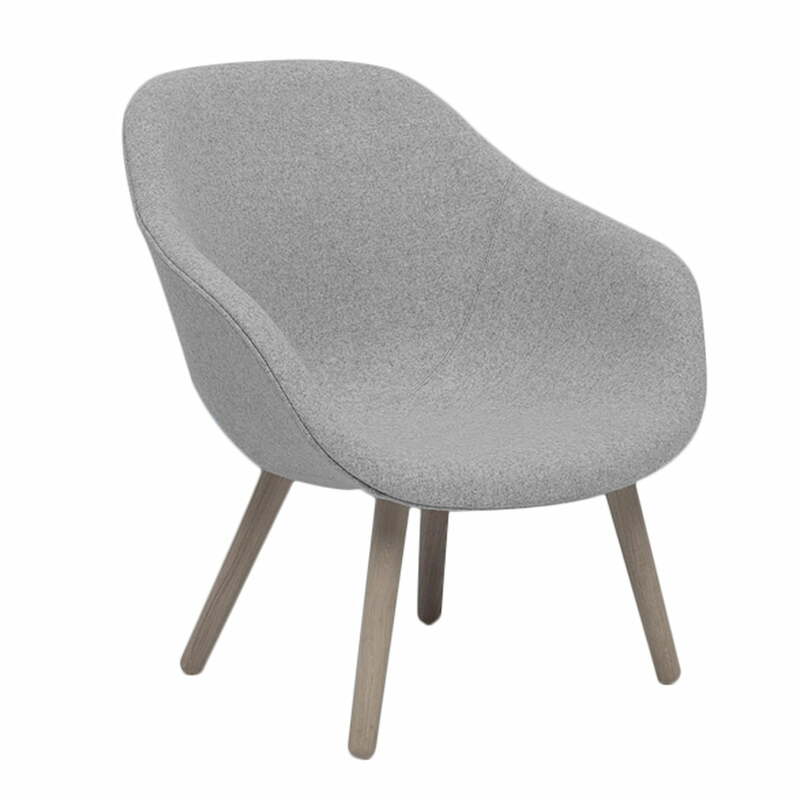 Different Kvadrat fabrics can be chosen in different colours to coat the chair. The seat is made of polyurethane and the frame of soaped or stained oak wood. 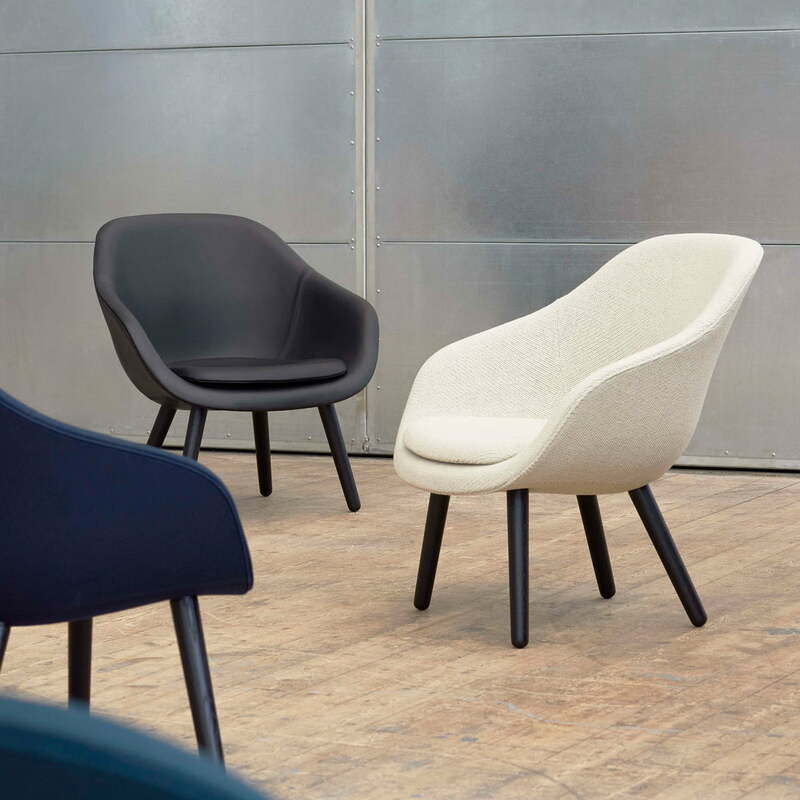 Moreover the About A Lounge Chair by Hay is also available with different seats and frames: for example, the AAL 81 can be paired with a swivel aluminium base and the AAL 92 with a high backrest. The variety of seats and frames of the AAL collection result in many combinations which will never look random or unintentional. We will gladly advise you on your individual configurations. The About A Lounge Chair AAL 82 by Hay in the ambience view. 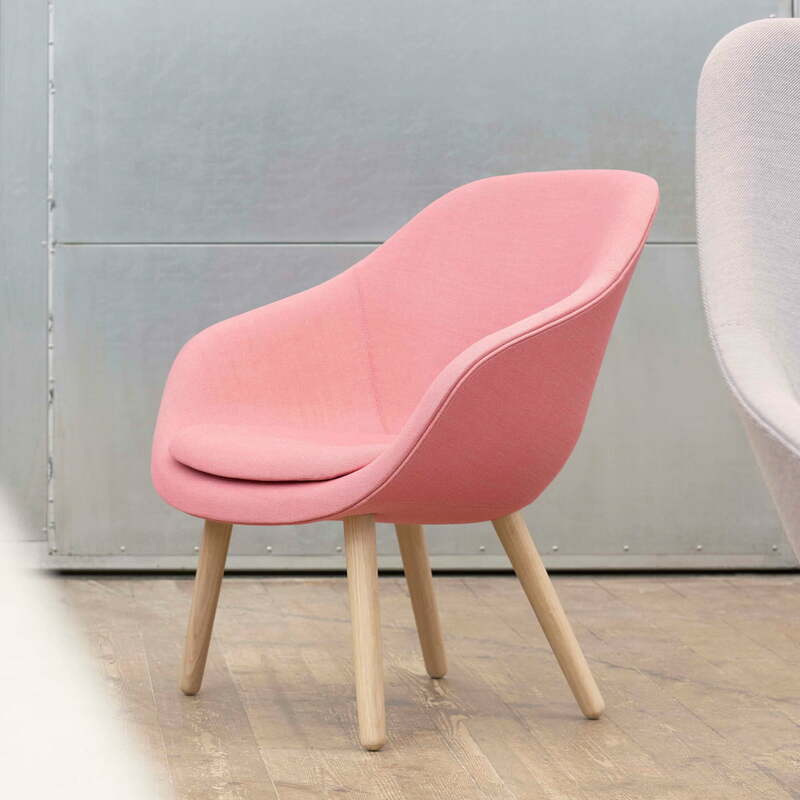 With a pink fabric cover the armchair becomes an absolute eye-catcher in every living area. The About A Lounge Chair AAL 82 by Hay in the ambience view. 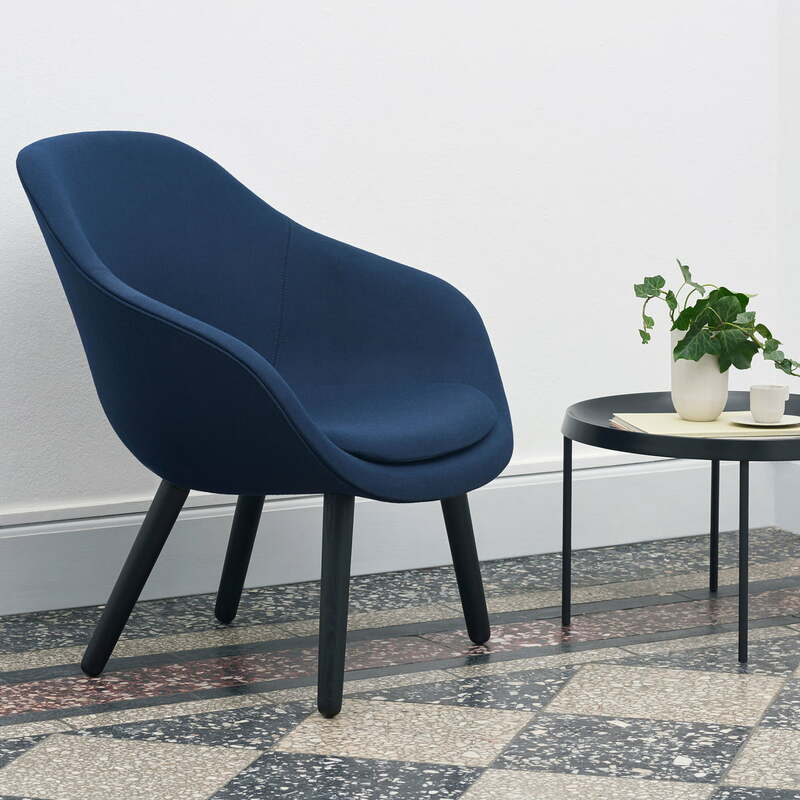 Available in different colours and with different covers, the armchair adapts well to any ambience.